Twice a year is contest season. 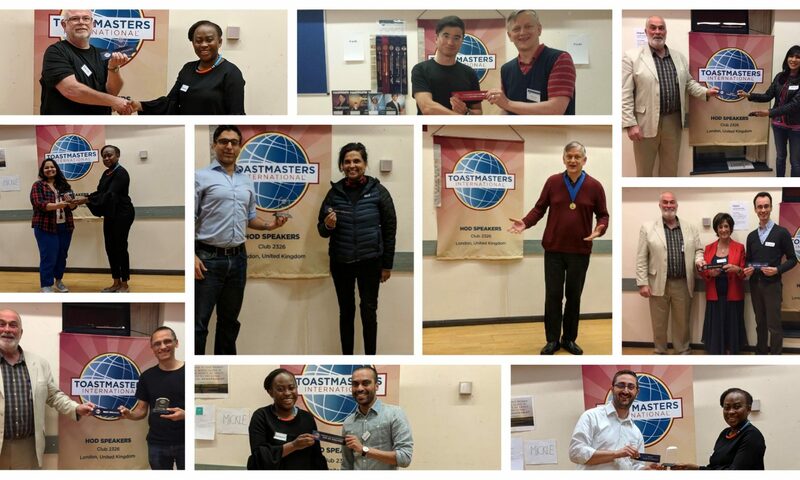 In the spring there is the International Speech Contest and the Evaluation Contest and in Autumn is the Humorous Speech Contest and Table Topics Contest. HOD has a superb record in these contests; Bill Dempster represented the UK in the world finals in 2013. 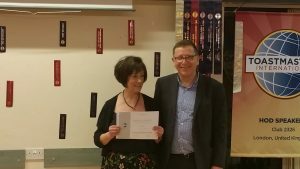 Gill Ornstein has made it through to the national finals twice as well as the division finals numerous times and we have many winners of the area finals.